The Department of Music at the Mike Curb College of Arts, Media, and Communication presents Chamber Fest @ CSUN, a four-day festival that celebrates and explores the art of chamber music and will be the first of its kind for the college. The festival’s events are comprised of a series of performances, masterclasses and lectures offered by a group of celebrated international chamber musicians alongside renowned local professionals from Southern California. The program of Chamber Fest @ CSUN, with some of the repertoire’s greatest masterworks at its heart, is designed to provide not only a world class concert experience for our audience but also learning experience for our students. New and exciting works by our own CSUN composition faculty will also be featured on the festival’s programs. To make a gift in support of the festival, please visit givetomike-curb-arts-media-communication.csun.edu and select “Music Department” from the Designation field drop down menu in the Donation Information section of the form. In the Special Instructions box put Chamber Fest @ CSUN. 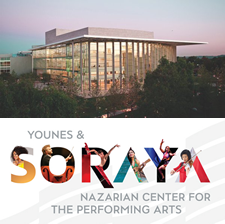 If you have additional questions about supporting Chamber Fest @ CSUN, please contact Jarrod Fasching, Assistant Director of Development, at or at (818) 677-4269. Sponsored by: The Colburn Foundation, Mike Curb College of Arts, Media, and Communication Dean’s Office, Department of Music, and Associated Students Instructionally Related Activities Fund. Tickets: To purchase tickets online, click here. Advertising: To purchase advertising sales, click here.